You don’t have to be sweating this summer. Read this article to learn some of the best tips for cooling down when it gets unbearably hot outside. Pull the shades, grab a cool drink, and turn down the air. Dubai summer is coming. Summer heat is the perfect reason for cooling down, especially with temperatures over 100 degrees Fahrenheit, making summer vacations in Dubai feel like taking a bath in boiling water. So not cool. The heat index has no remorse. As beautiful as the beaches are, laying out in the heat is like a piece bread waiting to pop up as burnt toast. Not to mention the health risks associated with exposure to climates with rising temperatures. Thousands of dollars are spent each summer on products believed to help people beat the heat. Bathing suits and cabanas, ice-cold bottled water, and aloe gels all cool the body down, but only for moments. The heat will make you go broke trying to be cool. But don’t lose your shirt. (Wait, maybe you should.) Here are some of the coolest tips for cooling down in summer. Equipping your home with an AC unit comes with benefits. Air conditioning increases physical and intellectual activity. The benefits of working out indoors increase, in that the body is not exposed to heat rays that cause dehydration and heat exhaustion. Performing cognitive activities indoors like reading and writing are also ways to outsmart that dreadful heat. Staying indoors and blasting the AC helps prevent heat-related illnesses. The Center for Disease Control and Prevention recommends staying in an air-conditioned place as much as possible. Thin curtains allow heat to beam through your home, suffocating cool air. Switch out those thin curtains for black-out curtains. Black-out curtains pull double-duty. They are temperature-controlled drapes that block out light and the sun. Black-out curtains are fashionable, coming in different colors and lengths. They preserve coolness in whatever room they are installed in, keeping your air conditioner from pumping extra hard to keep the house cold. Reading provides mental stimulation and reduces stress, increasing when done in a cool climate. Whether you read books at the library or at home, you’re indoors, cooling down in the air-conditioning. Ceiling fans circulate cold air. They allow you to set the temperature on your air conditioner four degrees higher and still feel just as cold. Installing them in each room in your home that has an air conditioning vent or wall unit increases air circulation, keeping rooms cooler longer. Extreme heat is uncomfortable and dangerous. 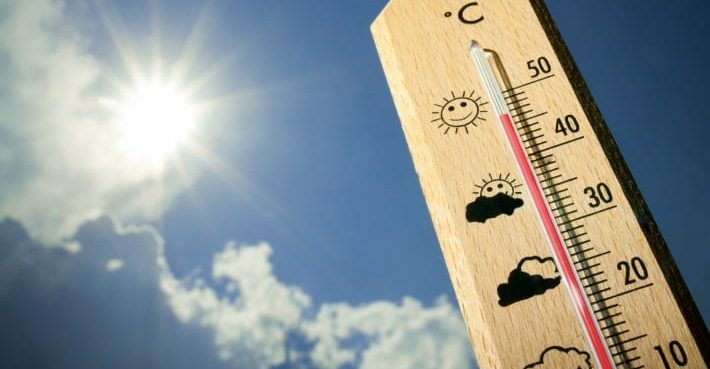 Health risks increase when people are subjected to hotter temperature climates. Heat-stroke, memory loss, allergy attacks, heat exhaustion — all affect the body when exposed to excessive heat. Participating in activities that keep the body cool like reading a book indoors, installing ceiling fans in your home, and switching out the curtains, all help combat heat-related illness. Hope remains. There’s one sure way to beat the Dubai heat. Buy an air conditioner! Check out our services page for information on how to keep your home cool.